I have Vulcan Gen 4 bullpups in walnut with super smooth side lever action that I am blowing out for $1,150.oo, these are CZ barreled, regulated new guns with full warranty. 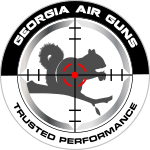 Take advantage of my full service airgun shop at a deep discount price. I only have one in .25 cal and one in .22 cal. Give me a call, I always like to talk airgunning.